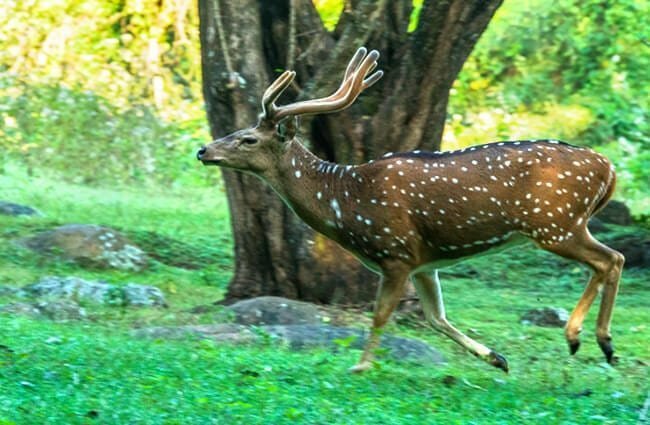 The axis deer is a spotted species of deer that lives in India. 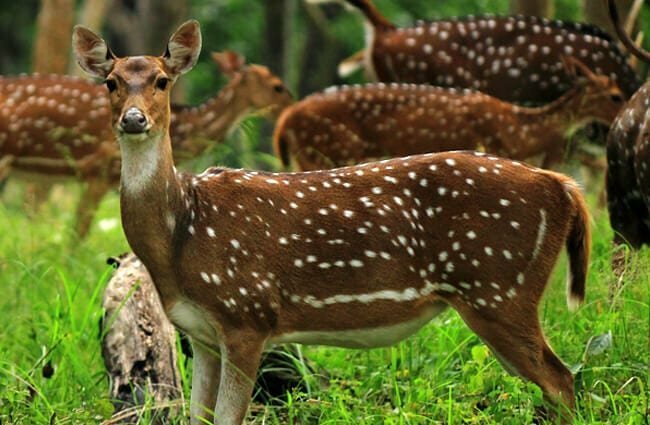 They also go by the names spotted deer, chital, and cheetal. Their most prominent feature is their many spots. 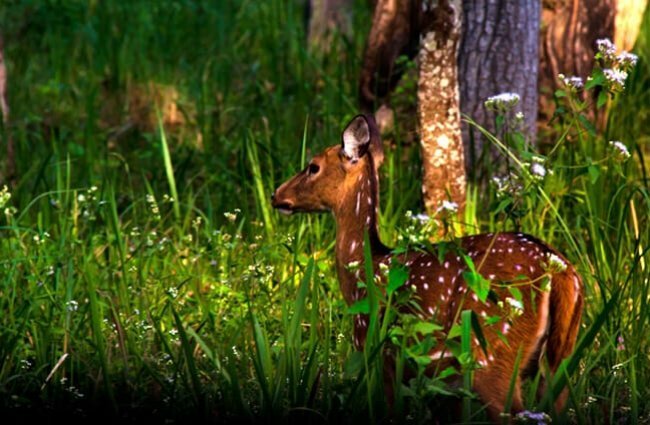 Some species of deer, like whitetail deer, have spots when they are young, but axis deer retain their spots for life. Like many species of deer, males grow large antlers on their heads. Read on to learn about the axis deer. This species of deer is relatively large. However, the males are larger than the females. Male axis deer stand 35 in. tall at the shoulder, and females stand 28 in. tall at the shoulder. They differ even more in weight. 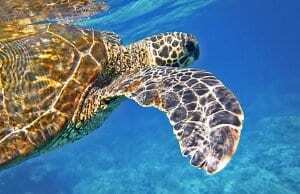 Males weigh up to 243 lbs., while females typically max out at 100 lbs. or so. Males also grow large antlers, while females do not. 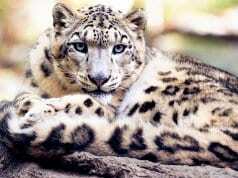 The fur of both sexes is brown or reddish brown, and covered with small white spots. In addition to the unique pattern these deer carry, there are other interesting behaviors and adaptations to boot. Learn more about what makes this species so interesting below. Cheetal – You may have noticed that one of the many names for this species sounds quite similar to another, entirely different, animal. The name cheetal and cheetah are similar for a reason! 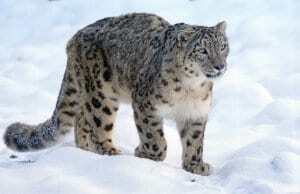 Both names originate from their spotted coats, though scientists are unsure of the exact origins. 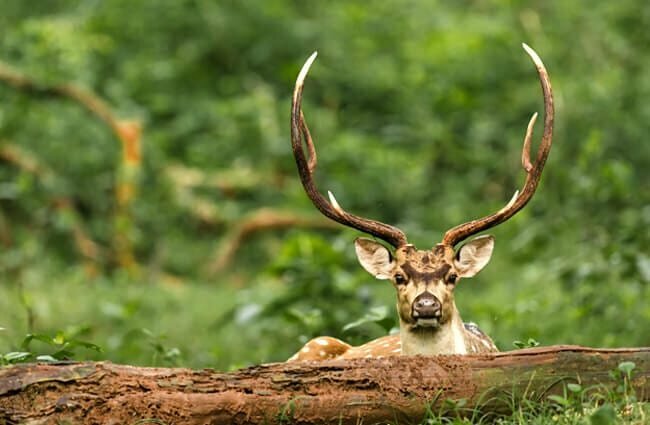 Super Spots – The reason that baby deer have such numerous spots, quite similar to the usual coat of the axis deer, is because it makes wonderful camouflage. 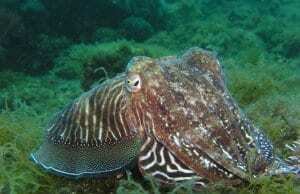 This camouflage, however, is only useful in the right habitats. The spots blend in with the sunlight that filters through the leaves in the forest, making it difficult to see the animal. Far Ranging – You can find this species in a few places outside of its natural habitat. Non-native axis deer live in certain areas of Australia, Croatia, the United States, and more. The deer live in the United States on some Hawaiian Islands, and in Texas. Unlikely Friendships – In some areas, axis deer form unlikely alliances with another species of animal, the northern plains gray langur. Herds of deer forage for food in close proximity to the langur monkeys, and the langurs follow suit. The premise is simple, the langurs can see predators more easily because they are up in the trees, and the axis deer have a keener sense of smell to detect sneakier predators. Both species alert the other to possible threats. These deer live in grasslands and forest edges, where they can forage easily but retreat to the safety of the forest if necessary. 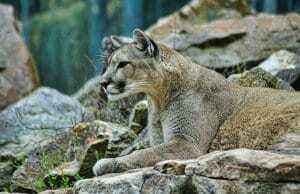 While they live in forested areas, they do not live in dense forests. 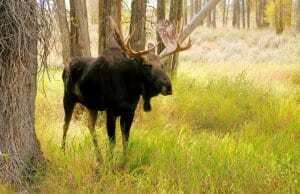 If the vegetation grows too closely together the males become entangled because of their large antlers. Forests close to rivers are particularly useful, because fruit trees and other vegetation thrive in these areas. 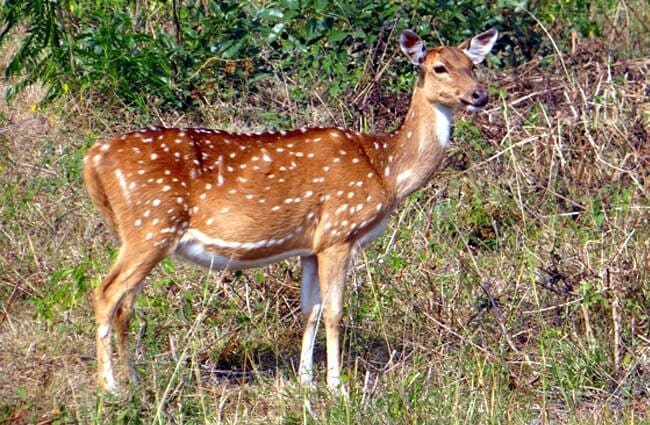 Axis deer live throughout various areas of India, primarily in Nepal, Sri Lanka, Bhutan, and Bangladesh. 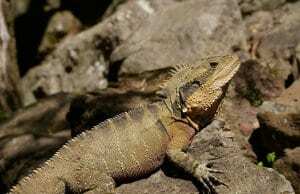 They live from Rajasthan to the foothills of the Himalayan Mountains and east to Assam. 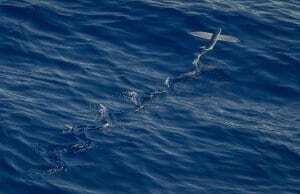 Humans, however, have introduced this species to many different places across the globe. 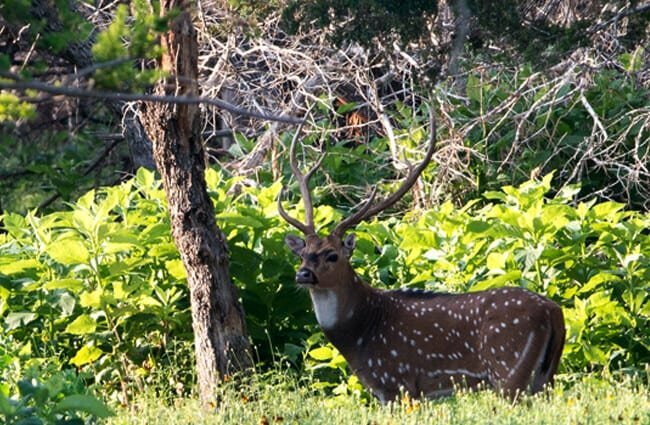 Because of this, axis deer also live in a number of U.S. states, various countries in South America, Australia, Andaman Islands, Croatia, and more. Like most deer species, axis deer are herbivores. They both browse on leaves and shrubs, and graze on grasses. Their food preferences vary by season. In spring the grasses are tender and fresh, but in winter browsing on leaves and shrubs is much easier. Some of the different types of foods they eat include flowering plants, herbs, shrubs, fruits, leaves, and more. While feeding they remain in herds to better watch for predators. The extent of human damage to axis deer populations varies by region. 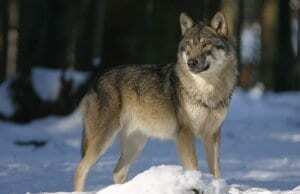 Some localized populations are in greater danger than others. In these areas, hunting, competition with domestic livestock, and habitat loss, all cause decline in deer populations. 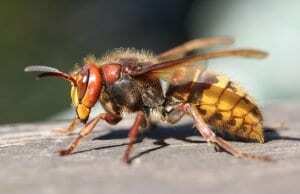 However, the population as a whole is healthy, particularly because there are so many invasive populations. 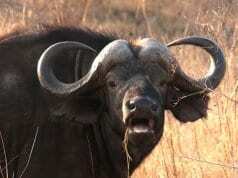 Because of this, the IUCN lists axis deer as Least Concern. Humans have not domesticated axis deer in any way. No, axis deer do not make good pets. They are wild animals, and definitely would not make a good house pet. These deer are also an invasive species in many areas, and potentially illegal to own because of this. In zoos, caring for axis deer is quite similar to other deer species. They need large enclosures with plenty of space to roam, grass to eat, and plants to browse on. In the wild they are quite social, and they must live in herds in zoos. While they eat grass in their habitats, zookeepers still provide extra food to keep them healthy. Axis deer will eat pelleted feed, hay, fresh browse, and fresh fruits and vegetables. These deer are diurnal, or active during the day. They spend much of their time foraging in groups called herds. The herds of deer are extremely vigilant, and listen carefully for any sound of a predator. They also use their keen sense of smell to detect potential threats. Herds are matriarchal, which means an adult female deer leads them. The rest of the herd is usually her offspring from previous years. 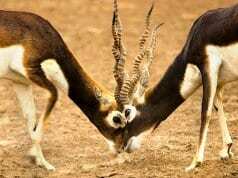 Like many other deer species, males fight with one another over the right to breed with females. The strongest male with the hardest antlers gets to reproduce. Females have a gestation period of about 7.5 months, and they usually give birth to a single fawn. The female hides her fawn in the forest for about a week, and then it joins the herd. After 3 or 4 months, the mother weans the fawn off her milk, and it slowly becomes more independent. Humans, tigers, wolves, lions, leopards, feral dogs, crocodiles, etc.